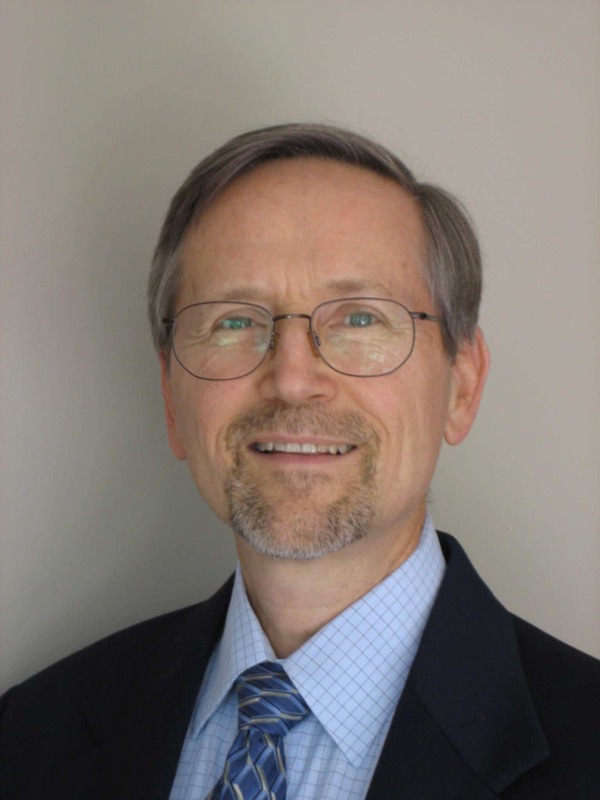 Effective FMEAs author Carl Carlson is a regular co-host with the Speaking of Reliability podcast. You can learn more about Carl via his bio. Here’s Carl on a Dare to Know podcast episode talking about the book. 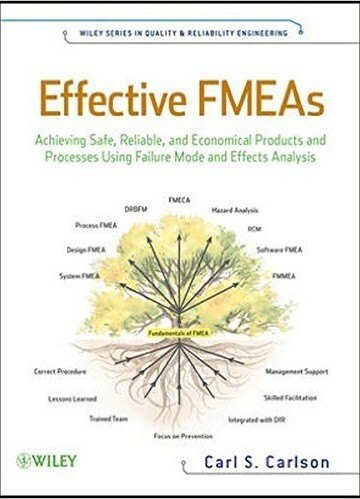 Effective FMEAs is available on Amazon.com. 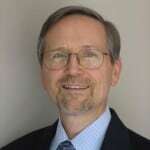 As part of Carl’s article series called Inside FMEA you can ask any questions you have about FMEA. He reads and responds to all questions and may use your question for a future article (keeping the question anonymous). Receive an email as each new article in the Inside FMEA series becomes available. “I found this book suitable at all levels in the organization . . . Every case study and example seems to be presented from the hands-on experience which makes it easy to grasp the principles and practices. Every engineer should own this book.” Dev Raheja, President, Raheja Consulting, Inc. Some call it the fourth law of thermodynamics. Some call it an ancient mountaineering adage. The most common ascription is Murphy’s Law: “If anything can go wrong, it will.” Whatever the source, it pays to anticipate problems and solve them before they entangle customers, or worse, become catastrophic. Across the globe, development times are becoming shorter, cost concerns more acute, and customers are demanding and expecting absolute safety and high reliability. Companies need to rethink how they achieve these objectives. While it may have been sufficient in the past to focus on testing and analysis as the primary methods of ensuring high reliability, this is no longer sufficient because test-and-fix can take too long and is too costly. It is essential to ensure high design quality and reliability during the early development stages in order to shorten development times and stay within budgets. To do this, it is necessary to focus first on problem prevention, rather than merely problem solving, anticipating the factors that can lead to failure and ensuring designs are robust. Failure Mode and Effects Analysis (FMEA) can anticipate and prevent problems and help companies achieve high reliability in products and processes within considerably shorter development times, and within budget. During my 30-year career in reliability engineering and management, I have had the pleasure to work with thousands of engineers and managers, and hundreds of companies. I have never met a single person who does not want to contribute to a successful team effort to develop trouble-free products or processes. Whether part of a design team, manufacturing, management, or a support activity, we all want to see our efforts make a difference in the quality and reliability of the products or services we support. There is a natural passion and energy of employees to achieve trouble-free products. Failure Mode and Effects Analysis is a key tool for accomplishing this objective. The plain truth is FMEA has the potential to be a very powerful tool to achieve high reliability in products and processes; and when done well, it is remarkably effective. Yet in practice, FMEA does not always achieve the expected results, and can lose effectiveness. While working in the fields of aerospace, vehicle engineering and reliability consulting, I have supervised or performed over two thousand FMEAs. During this time, I have seen just about every possible way to do FMEAs incorrectly, and discovered simple strategies to learn from these mistakes and turn them quality objectives. The purpose of this book is to share these best practices for doing FMEAs effectively. One of the objectives of the book is to teach by example. Many case studies are discussed and examined, including industry-specific applications, two well known catastrophes (the Space Shuttle Challenger and the DC-10 cargo door blowout), and an FMEA case study on an all-terrain bicycle. Other case studies and stories about FMEA application are interspersed throughout the book. At the end of each chapter is a set of problems that can be useful in learning the fundamentals of FMEA and how FMEA can be applied to many different activities and industries. To get good results from FMEAs, it is necessary to learn and apply the correct procedures. To get uniformly outstanding results with each and every FMEA, it is essential to learn and apply a set of simple strategies. This book teaches these strategies. FMEA has been around for many decades and has a long history as a method to support product designs, manufacturing processes, service, and maintenance. There is a wide range of applications and types of FMEAs. This book is for anyone who wants to learn about FMEAs and how to do them effectively and efficiently regardless of job discipline or prior FMEA experience. Whether you are involved in product designs, manufacturing, service, maintenance, management, quality, or any other discipline that supports product development and operations, FMEA can be a valuable tool to dramatically increase reliability; and ensure safety of equipment, personnel, processes or services. What is important is to learn from mistakes, follow the simple strategies covered in this book, and do the procedure correctly. Through the synergy engendered by the right team of experts, and by implementing correct and proven methods and procedures, problems can be anticipated and prevented resulting in safe and trouble-free products and processes, with the inherent risk in any system or process reduced to a very low level. FMEA is a broad subject, with a wide variety of standards, procedures and applications. There is no shortage of opinions and ideas from practitioners, both new and experienced. It is impossible to fully satisfy everyone, from every level of experience and every industry and application. However, I encourage feedback, and I will carefully listen to all comments, concerns, criticisms and suggestions. I will stay engaged and find ways to share comments, suggestions, and knowledge about the subject of FMEA with students, readers and industry practitioners. In the words of a great teacher, “learning is not a spectator sport.” No one person has all of the answers, and by sharing our experience and knowledge, we can learn from each other. I sincerely wish you the best in your quest to support safe and trouble-free products and processes. Each of the chapters in the book have end of chapter problems. The solutions to these problems are in the companion Solutions Manual, available to industry professionals and academic faculty at no charge. To obtain the Solutions Manual, click on the link directly below, then click on “Supplementary Material” in the upper left corner of the page, and fill out the form. A representative from the publisher will contact you with the password to access the Solutions Manual. Companies and industries across the globe are cutting costs and shortening development times. Yet high reliability and impeccable safety are essential to customer satisfaction and financial viability. This chapter introduces Failure Mode and Effects Analysis, highlights FMEA successes, and illustrates how FMEA improves reliability and safety while reducing warranty costs in a variety of industries. This chapter makes the case for FMEA. One of the keys to effective FMEAs is for the entire FMEA process to be driven by the correct philosophy, meaning that the approach is based on the vital few guiding principles that support achieving high reliability in today’s competitive environment. This chapter lays out the primary focus areas for doing timely FMEAs effectively. The remaining chapters in this book build on these guiding principles. What exactly is FMEA and what are its key concepts and definitions? This chapter explains the different types of FMEAs and tells how each is used. The majority of the chapter covers a thorough explanation of the key words and concepts of FMEA, each illustrated with multiple application examples for different types of FMEAs. This chapter explains the primary selection criteria for FMEA projects and outlines when to do the different types of FMEAs. A technique called Preliminary Risk Assessment is also included, which uses specific selection criteria to identify the most important FMEA projects. The chapter ends by introducing the all-terrain bicycle case study, subsequently used to teach FMEA concepts throughout the book. Proper preparation is essential to success in any FMEA project. This chapter outlines the step-by-step tasks that need to be done one time to prepare for future FMEA projects, as well as the tasks that need to be done for each new FMEA project. Various preparation checklists are included. Each preparation step is illustrated with an example of how the specific step would be done on a bicycle FMEA project. As soon as the FMEA preparation steps are completed, work can begin with the FMEA team on the FMEA procedure. This chapter outlines in detail the basic procedure for doing FMEAs, from items through calculation of Risk Priority Numbers, thoroughly explaining each step in the sequence. The emphasis is on how to apply the FMEA procedure in real-world applications. Sample FMEA forms are included (in the appendix). The application of each step in the FMEA procedure is further illustrated with the use of a bicycle example for System, Subsystem, Component and Process FMEAs. Once the FMEA team has performed the analysis up through RPN calculation, the important work of defining and executing effective actions can begin. This chapter explains how to prioritize issues for corrective action, outlines how to identify and implement the most effective action strategies, and provides key enablers for removing roadblocks to successful execution of FMEAs objectives. This chapter presents a series of case studies on the application of FMEA, in a variety of industries and applications. Five of the case studies are from actual industry applications. Two of the case studies draw from catastrophic events and are included for teaching analysis. The remaining three case studies are fictional examples that provide insight into FMEA application for teaching purposes. Each case study is further evaluated with end of chapter problems. Much is learned by observing the mistakes companies have made in doing FMEAs. Based on the experience of over two thousand FMEAs and working with many companies in a wide variety of applications, certain common mistakes show up repeatedly. This chapter outlines the most common FMEA mistakes and describes how to avoid them. FMEA Quality Objectives are described, along with an effective FMEA audit procedure. FMEA teams need the leadership of someone who is skilled in team leadership and facilitation. This chapter outlines the primary FMEA facilitation skills that ensure success in FMEA applications, as well as the central elements for conducting effective meetings. Included in this chapter are techniques to resolve difficult facilitation problems, and maximize team creativity. The chapter also outlines the unique roles and responsibilities of the FMEA facilitator in performing each of the steps of the FMEA procedure. FMEA teams require vigorous support by management with specific strategies and reviews. This chapter outlines a company-wide FMEA process that will result in effective implementation of FMEA projects. The specific roles and responsibilities of management are explained, along with lessons learned from successful and unsuccessful FMEA implementations. Some companies choose to add or are mandated to add a Criticality Analysis to the FMEA procedure, according to specific procedures. This chapter introduces FMECA and explains how it is different from FMEA. The Criticality Analysis is detailed here, including both Quantitative and Qualitative Criticality Analysis. Also included are an outline of FMECA history and specific FMECA scales, standards and examples. Many companies are incorporating DRBFM along with FMEA. This chapter introduces the DRBFM methodology, explains how it is different from FMEA, when it should be used, and how it is done. Also covered is a brief history of DRBFM, the DRBFM procedure, DRBFM case studies, available DRBFM references and a section on Design Review Based on Test Results (DRBTR). There are times when it is essential to avoid an undesirable event or other high-risk situation that has numerous and complex potential contributors. This chapter is a brief overview of FTA and how it relates to FMEA, including its history, procedures and examples. Practitioners who will be doing FTA projects are encouraged to do further study or training on FTA. Many variants of FMEA build on the basic FMEA principles for unique applications. This chapter discusses Reliability-Centered Maintenance, Hazard Analysis, Concept FMEA, Software FMEA, a focused type of FMEA called Failure Mode, Mechanism and Effects Analysis (FMMEA), and a type of FMEA used to develop online diagnostic techniques called Failure Modes Effects and Diagnostic Analysis (FMEDA). Each section includes the basic definitions, a brief history, and a short summary of the fundamental concepts, procedures and examples. Using good relational-database software is an essential element for an effective FMEA program in any company. In this chapter, the important characteristics for selection of the best FMEA software are outlined and discussed.